Is CBD Effective for Inhibiting Cancer Growth? Cannabidiol (CBD) is one of the most well-documented cannabinoids. Over the years, many independent studies have shed positive light and affirmed its use in various medical applications. Of course, more studies are warranted, but research so far paints a positive outlook. Among its many medicinal qualities, CBD is believed to play a role in inhibiting cancerous and malignant tumors. However without proper CBD Testing the product could have minimal beneficial effects or even negative effects. CBD shows potential as an anti-cancer drug. The cannabinoid may induce cancer cell death. One study, for example, showed that CBD may stimulate the brain receptor TRPV2, which in turn kills off cancer cells in the bladder. Another study concluded that CBD may have beneficial applications for treating prostate cancer. 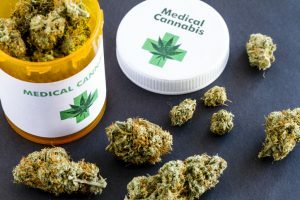 Researchers in the study also suggested cannabis may be a better alternative to traditional medication like opioids for alleviating cancer-induced pain. Unlike opioids, CBD is not known to cause dependence. Furthermore, research from the University of London suggests that a combination of CBD and THC may have a “priming effect.” The cannabinoids here have an indirect effect by enhancing chemotherapy’s ability to kill brain tumor cells. There is also anecdotal evidence. One woman from Oklahoma swears it cured her stage four breast cancer. Before going on medical marijuana, doctors gave her just one year to live. Previous radiation treatment killed the cancer cells, only for them to return. Is CBD the Solution to Beating Cancer? The aforementioned studies show promise. However, we believe it’s a bit soon to say definitively that CBD is a one-size-fits-all answer to cancer. For one, we must stress that the majority of studies are done on rats and not humans. Some studies are even done using lab-grown cancer cells. The human anatomical system is far more complex than that of mice or cells in a petri dish. Cannabis, depending on its cannabinoid profile, may also have negative effects on cancer patients. Too much of the psychoactive cannabinoid THC, for example, may also harm healthy red blood vessels. Other researchers expressed concerns that cannabinoids may interfere with the body’s CB2 receptors, in turn harming the body’s innate ability to fight off tumor cells. For patients who choose to use CBD for cancer treatment, we strongly advise they do so the right way. This means acquiring a medical marijuana card and obtaining the cannabis from authorized dispensaries, preferably from one that submitted their cannabis to a Florida testing lab. For the growers and dispensaries, this is all the more reason to analyze their plants and extracts at a state-approved cannabinoid testing center. Medical marijuana must have a precise cannabinoid profile to minimize possible side effects. Florida law has strict requirements that outlines what must be in and cannot be in medical marijuana. Submit a sample to our Florida testing laboratory. Modern Canna uses state-of-the-art equipment to analyze and verify that your samples are in compliance.